good! Only weather is not too good. Will do again in my next visit. 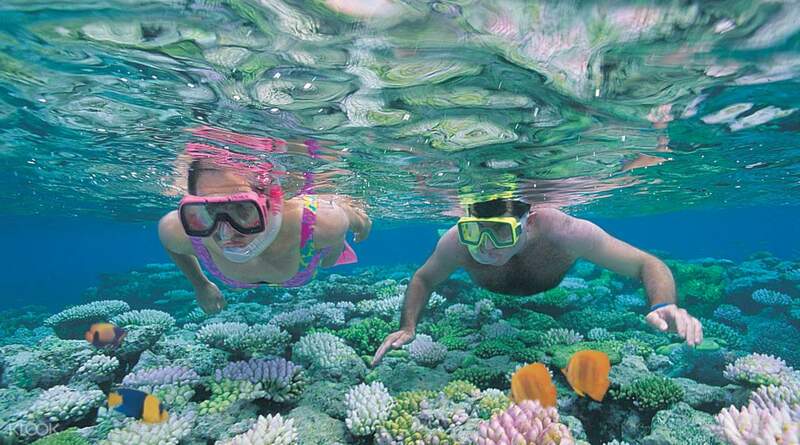 Embark on this immersive two day tour that takes you to the wonderful underwater world of Agincourt Reef and the Kuranda Rainforest for a fascinating cultural and environmentally friendly experience! 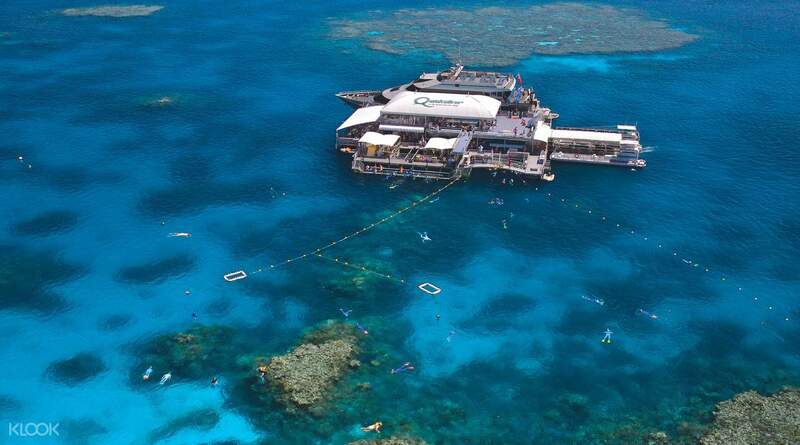 On day 1, visit the exclusive activity platform moored on Agincourt Reef, which is located on the world famous Great Barrier Reef. Jump in the crystal clear waters and snorkel, or stay on board and get to discover the underwater world through a semi-submarine underwater observatory. Get in touch with the ocean and learn more about the efforts to preserve the natural wonders thanks to an educational presentation by a marine biologist. Spend day 2 at the majestic rainforest village of Kuranda. 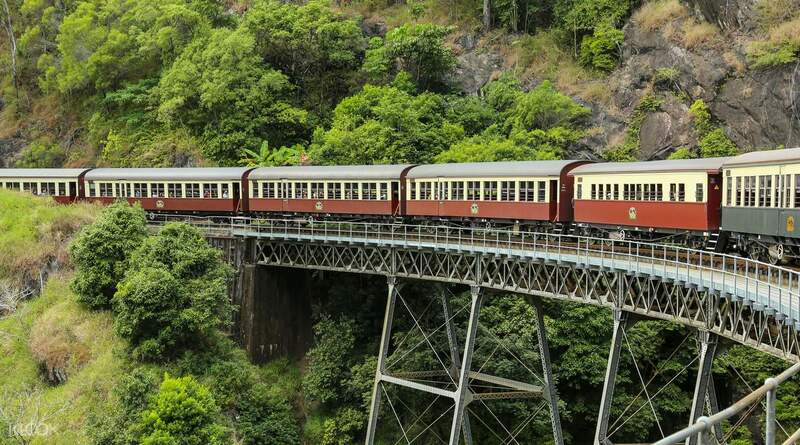 Day 2 starts aboard the famous Kuranda Scenic Railway, where you can get a picture perfect view of the Barron Falls, and pass through mountainside tunnels. Spend the rest of the day exploring the famous "Village in the Rainforest." Drop by the Heritage Markets, which operate daily, or visit the Australian Butterfly Sanctuary, Birdworld or the Kuranda Koala Gardens (at extra cost). Finally, after an entire day at the Kuranda Rainforest, board the Skyrail and glide over the rainforest canopy all the way back to your coach, which will take you back to your accommodation. On the Skyrail, you can even take optional stops en route and walk through a rainforest or visit the Rainforest Interpretive Centre. The two day combination tour comes with roundtrip transfers on both days, and a delicious lunch on day 1 - so you get to travel worry free with everything already taken care of for you! 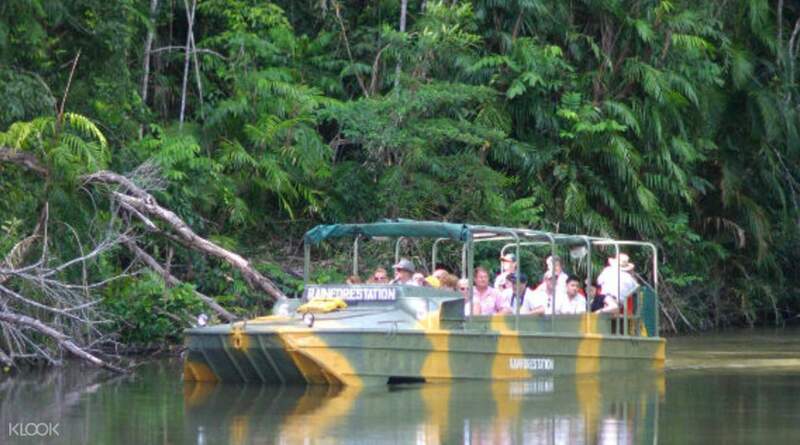 Hop aboard the Kuranda Scenic Railway and visit the "Village in the Rainforest"
Enjoy free time in the Kuranda Rainforest - join any of the available tours or just explore on your own! Nice place and i will definitely go back here and bring my friends and family. Nice place and i will definitely go back here and bring my friends and family. I am not happy with second day activity. Booking sheet says pick up is at 8:10am but was really 7:35am. There was no advanced reconfirmation of pick up time by tour operator. It was good that we were ready by 7:40am when tour operator called. Then tour ends and bus departs 12:30pm. We are at the departure point at 12:25pm, there was a bus but no bus driver. Then at 12:30 someone went up the bus and drove off. We were not able to ascertain if that was our bus, which apparently it was. The Kuranda ticket office was very kind and helpful and contacted the tour operator and tour operator finally sent a taxi to bring us back to our hotel after more than an hour of waiting. I am not happy with second day activity. Booking sheet says pick up is at 8:10am but was really 7:35am. There was no advanced reconfirmation of pick up time by tour operator. It was good that we were ready by 7:40am when tour operator called. Then tour ends and bus departs 12:30pm. We are at the departure point at 12:25pm, there was a bus but no bus driver. Then at 12:30 someone went up the bus and drove off. We were not able to ascertain if that was our bus, which apparently it was. The Kuranda ticket office was very kind and helpful and contacted the tour operator and tour operator finally sent a taxi to bring us back to our hotel after more than an hour of waiting. good! Only weather is not too good. Will do again in my next visit. good! Only weather is not too good. Will do again in my next visit.